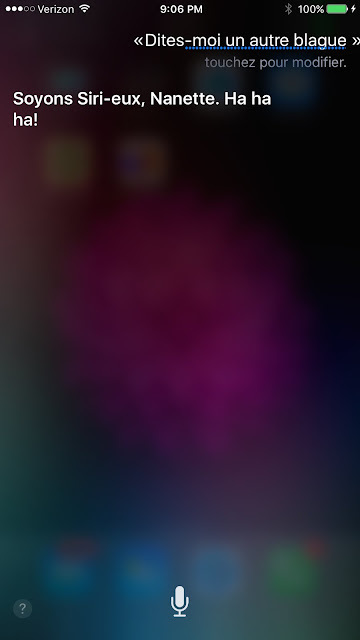 Siri has taken to making puns when you ask her to tell you a joke. And then she laughs at her own joke. My French lessons are coming along. We've gotten into le tense future - L'AVENIR! I've been listening to French radio to improve my comprehension of normal French speaking at franceinfo. I must be getting pretty good, too, since they announced the attack at London bridge while I was listening, before I heard about it through English language sources, and I understood what they were talking about. Tres bien. Also while listening I heard a French version of the opening credits for StarTrek.